Leaving the slow path of the ancient capital, we were heading to the central county of Nantou which is the only county which doesn't have any border with the oceans. 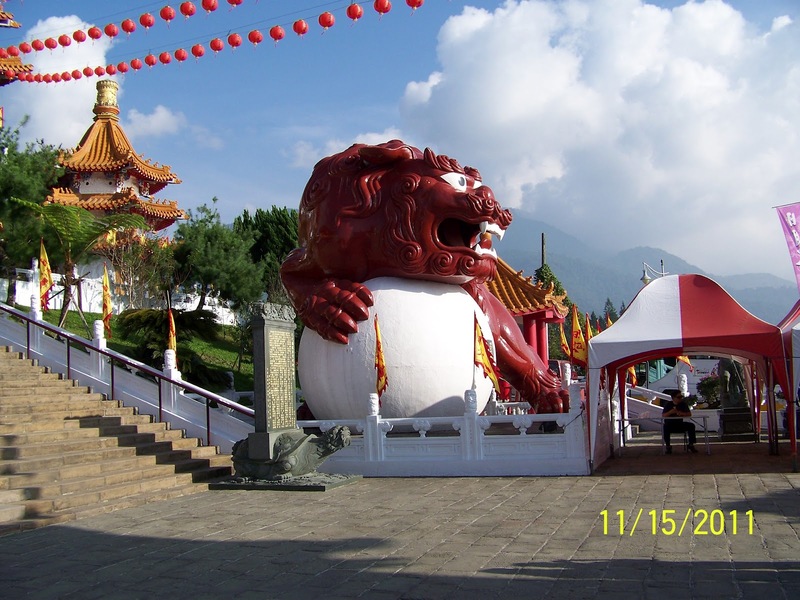 It would take us around three hours to drive to our destination Sun Moon Lake from Tainan. 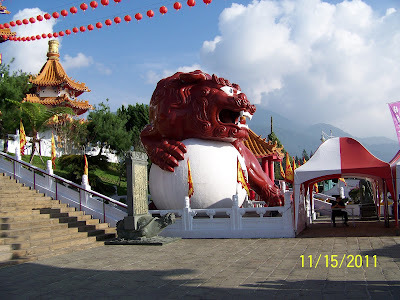 We would stop in two places Mingjien and Chichi townships on our way to Sun Moon Lake. Master Chen is the most famous woodturning master in Taiwan. He apprenticed at a wood lathing factory for 2 years after gradated from a junior high school at the age of 15 years old. 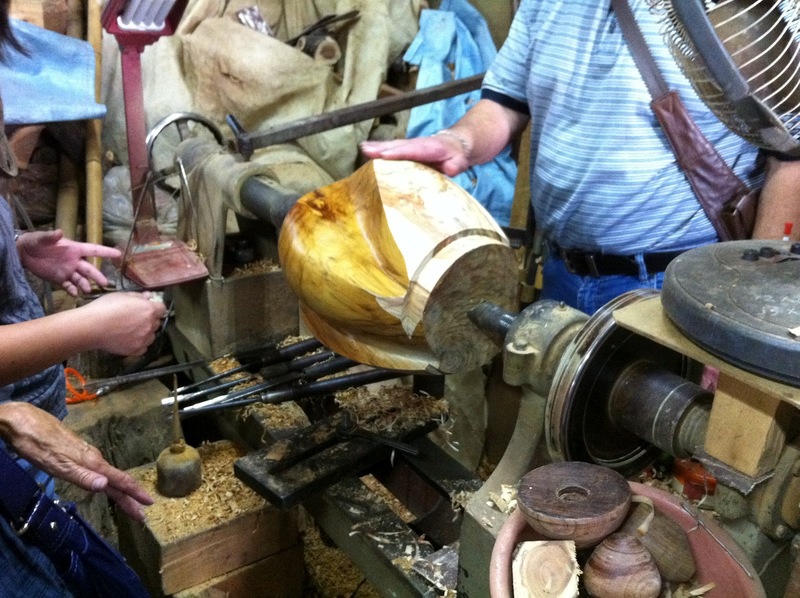 He began with making Christmas ornaments and pool cues. Later on his major work was to make wood railings. Fortunately the wood railings industry was gradually declining. His business took a hit; however, god has always opened a door for hard working and talented people. 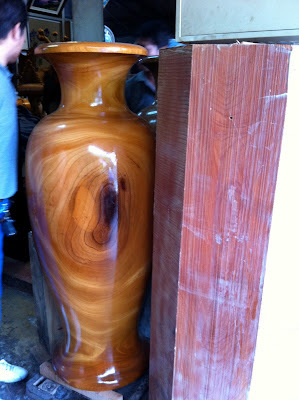 One day someone came to Mr. Chen's workshop and asked him if he could make a wood vase for him. 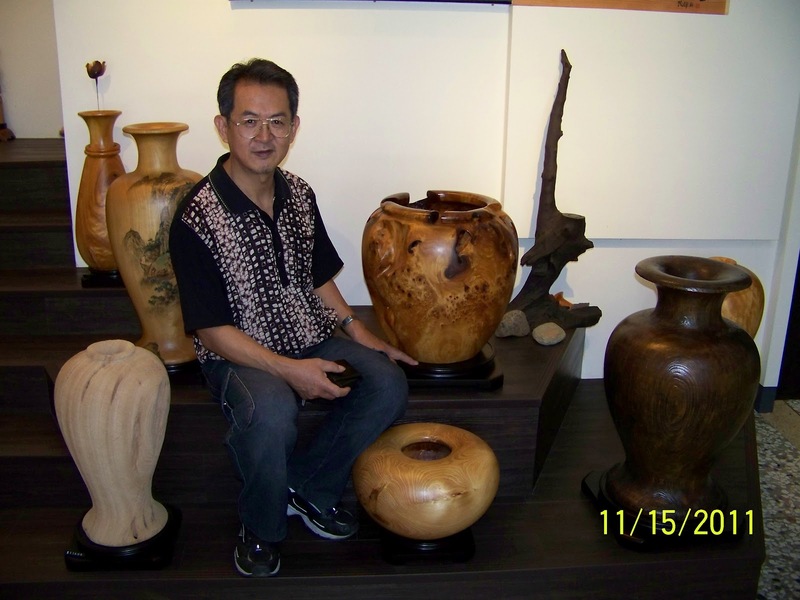 Mr. Chen took the challenging job and finished it with his wood working skill. The patron was very happy with his work. 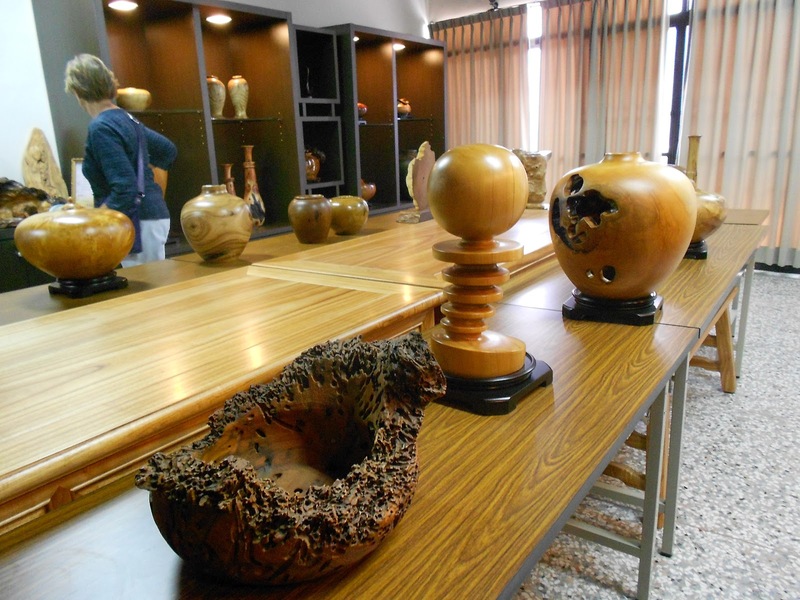 After that, more patrons asked him to do many different style of wood objects. His fame spread out in the art fields. 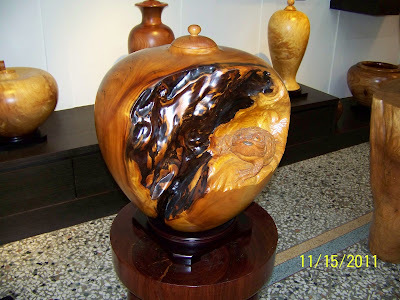 He modified his style gradually and worked his way up to be a woodturning master. 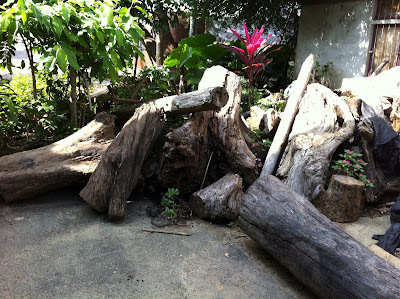 He started his art work with decayed or rotten wood. His friends or patrons laughed at him and didn't believe those woods were workable. He proved his profession and skill to those people who didn't believe in him at first. In his philosophy, any wood serves functionalbility or beauty. It only depends upon the creator's mind and idea to make it alive. A piece of junk wood in an ordinary person's mind became a beautiful artwork under his hands and idea. At the beginning, he was shy for taking us to his studio because of a big mess at his work area in his studio. We convinced him that any artist workshops are mess as normally when they are creating their artworks. 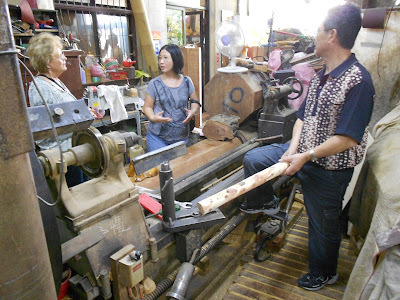 During the decreasing of the wood railing business in Taiwan, he almost sold all his wood lathe machines and only kept the one which was shown in the picture. It is an old and out of date machine. But it serves him well as a new machines would in his hands. He explained to us how he used a spindle turning method to work with the wood. One thing amazed me is that he drew his design on a small area of the wall once he saw the wood he was going to work with. After he finished, he erased all his designs. Sometimes, he competed with time because the textures of the wood would changed due to the turning and cutting of the wood being exposured to the air. This wood vase was probably 150 cm (59") in height. He made one years ago and sent it to a customer in England. He was very proud of that; most of his patrons don't allow him to inscribe his name on his works. Massive Destruction in Chichi on Sept. 21, 1999. As we left the Mingjien township, we went toward the town of Chichi. There was a leaning electrical power tower on the roadside reminding people of the distruction that had occured and the road was not flat any more because it rose up over one meter (40") which were caused by a 7.6 earthquake and at least 2,415 lives lost in 1999. Chichi township was the epicenter. Since the epicenter was in Chichi, the township was hit severely. 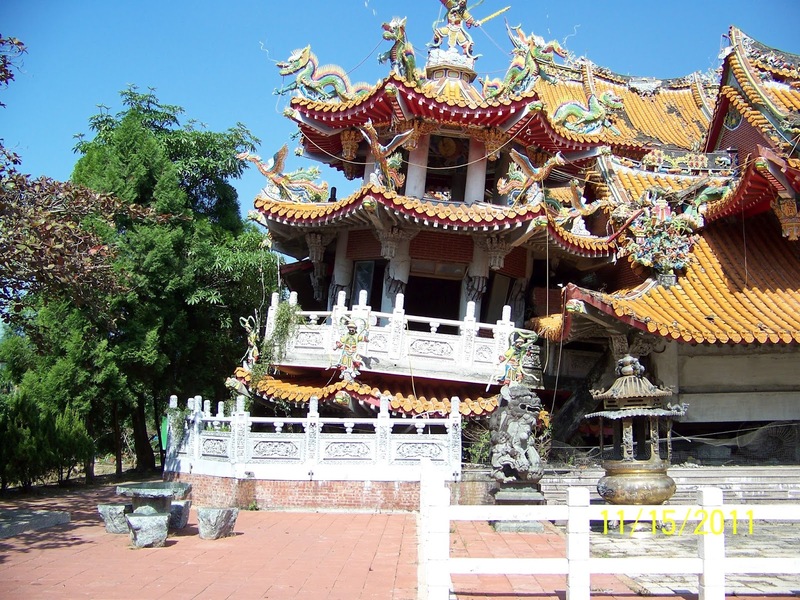 All buildings were rebuilt and only this temple remained untouched. It reminds people that natural disasters are unpredictable and devastating. 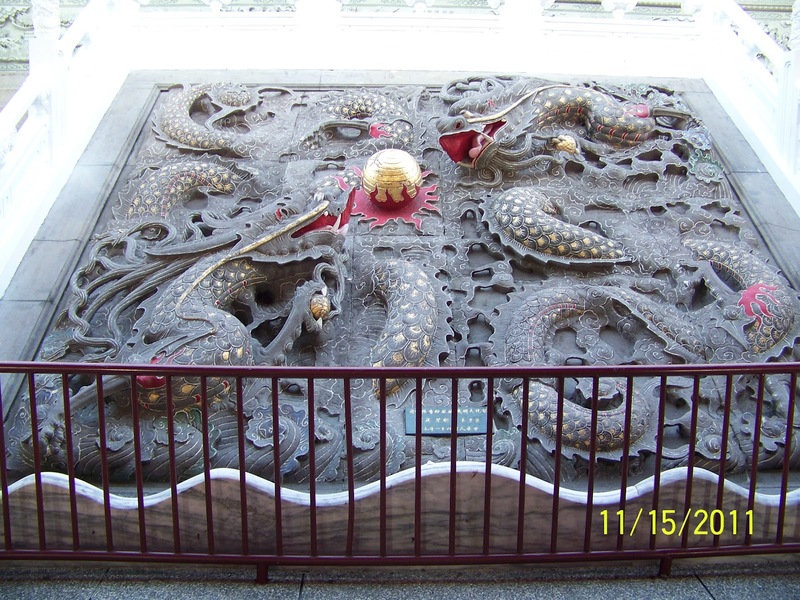 This temple was a Taoist temple and originally a three stories high building. The god statues were rescued and were put at a temporary shelter. A new temple is now under constructed. Except for the temple, Chichi is also well known for its small train ride and riding bicycle in the countyside around the town. 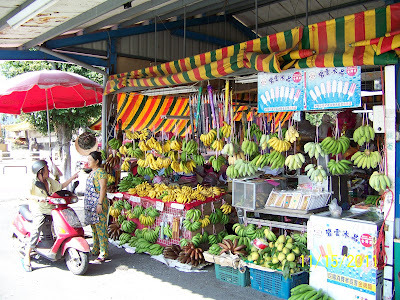 Visiting the town, you can see there is a lot of agricultural products along the roadsides. Bananas are one of its agricultural products. You could see there were at least 3 different kinds of banana for sale at this booth. 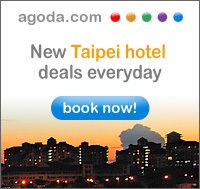 It is a must visit destination when visitors travel to central Taiwan. The lake was originally a small natural lake. The Japanese government colonized Taiwan for 50 years. The government set Taiwan as its model. So the Japanese government constructed many infrastructures vigorously. It made a 15 km water tunnel from the Zhuoshui River to Sun Moon Lake for its hydro power plant. The power plant contributes 56% of the total hydro power in Taiwan. Because of the water duct, the lake size was increased. Today it is the biggest lake in Taiwan with an area of 800 hectares (close to 2,000 acres). The lake deepest is about 30 meters (262'). 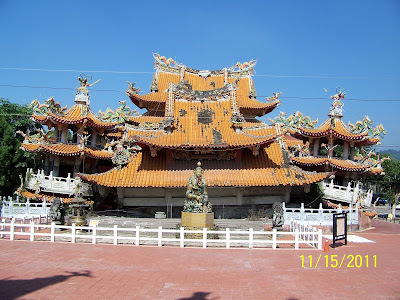 Taiwan has the most cluster of temples in the world. According the government report in 2010, there were at least 15,000 temples in Taiwan which included Christian and Catholic churches. 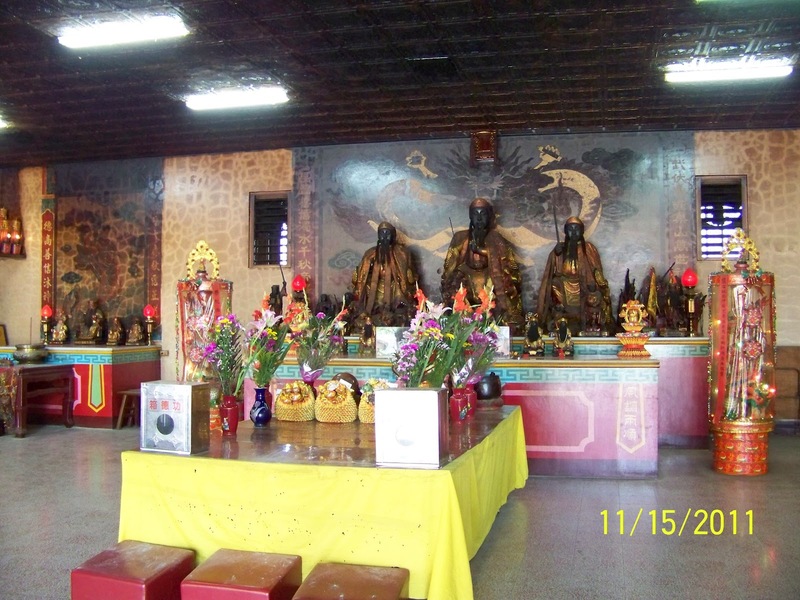 Taoist temples are the majority. The Wenwu temple is one of the Taoist temples. The red lion was donated by a rich business man in Taiwan. The tower set on the top of the hill is called Cien Tower. It was built by Chiang Kaishek to commemorate his mother. It was our next stop. Cien Tower sets at an elevation of 954 meter (3,123') high mountain top and the tower itself is 46 meter (151') in height. It is a total 1,000 meter high from the sea level to the tip of its roof. It was well calculated. Visitors are welcome to walk the staires to the top and enjoy its 360 degree view of the lake. The stairs spiral up to the top. There is a bell hanging at the top. Visitors who make their way up there like to hit the bell to bring good luck. At night, the sound would reach to every corner of the valley. I almost made my way to the top. Because I had a picture taking mission, I had to go down to take pictures for my friend who was on the top of the tower. The red tile house was one of Chiang Kaishek houses. It is not open to the public. The distance is about 570 meters (1,870') from the parking lot to the tower. At night, there was a free Thao tribe dancing which is the smallest aborigine tribe in Taiwan with less 600 population. The Chihauhau went on the stage and sang the song with the music with it's howling. It was very interesting to see the dog interacting with the music and I didn't think it was trained to perform like that.